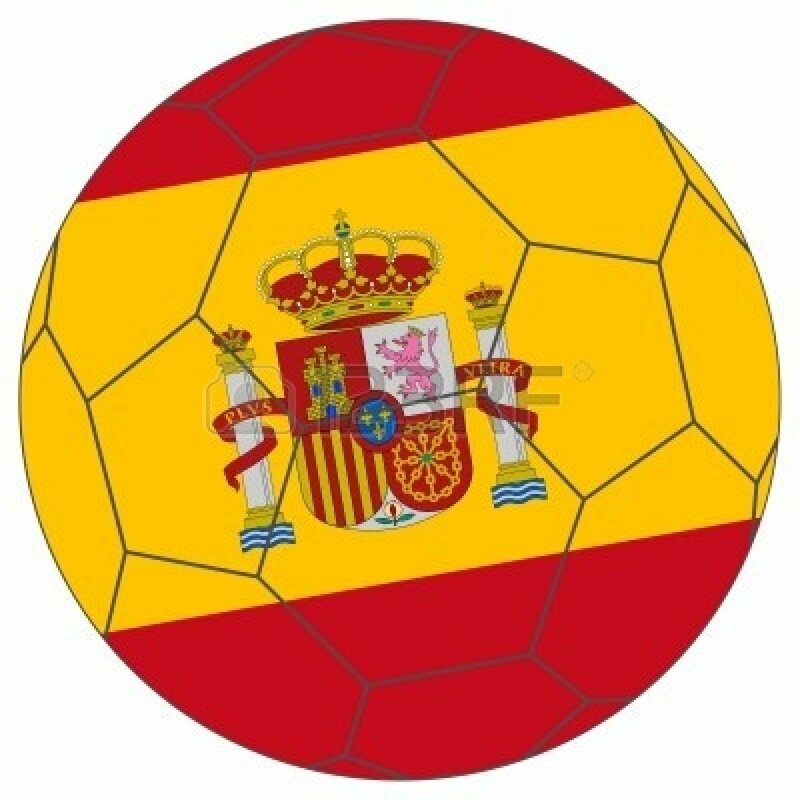 For the past 6-8 years Spain has been the dominant team in world football. They were European champions in 2008 and 2012 and World Cup champions in 2010. But it’s not just the trophies that characterize Spain’s reign but the fact that they set the tone for how the game should be played. Spain came to the fore at a time when the “it’s not how you play, it’s whether you win” school of thought was predominant in the football world. Spain showed that attaching, free-flowing, unselfish, ball-contol football was a way to win. They were a terrific role model for the game, a team that you hoped others would emulate. Their time has passed. Holland demonstrated that. Casillas, Iniesta, Xavi, Xabi Alonso, Busquets, David Villa are wonderful players and considering what they have accomplished who could deny them one more go at it. But it’s time for Spain to move on. The team that demonstrated this, the Netherlands, were once themselves the trendsetters in world football. Known as the best team to never win a World Cup, they were runners-up to host Germany in 1974 and runners-up to host Argentina in 1978. The Dutch teams of Cruyff, Neeskens, the Van De Kerkhofs, Krol, were known as the inventors of “total football.” In that scheme you were not just a defender or not just an attacker, all 11 players were responsible for covering the entire field and contributing to both the offense and the defense. I watched the 1978 overtime final on closed circuit TV in Madison Square Garden. That was the only option for seeing the World Cup at that time. I admired the orange and their style of play. But it’s that history that made their performance (runners-up again) in South Africa in 2010 so disappointing. Here was the team that invented total football taking a cynical and negative approach to the World Cup final game. As each successive World Cup comes around the media is flooded with speculative commentary about “when will soccer make it in America.” Soccer has in fact come a very long way since that 1978 game when I had to go to MSG to see the World Cup final on closed circuit TV. But what the media are really asking is when will soccer rival American sports, baseball, football and basketball in popularity. Personally I don’t know why that matters. But if it is going to happen it will require more games like the one against Ghana. If fact a whole string of those games that leads the U.S. deep into the third or fourth week of World Cup play. The U.S. has its moments. The Ghana game was one of them, as was the 2010 1-0 win over Algeria in which Landon Donovan scored in the 90th minute and the 2-0 victory over Mexico in the 2002 round of 16. But watching the Ghana game you also clearly got the impression that exciting as that victory was, this team is simply not good enough to go that far in the Cup. What the U.S. team has is tenacity and when you talk about a style of play, that is about as much of a characterization as I can generate for the U.S.A. We don’t really have a style because our soccer team like our society is a melting pot. We have Americans who are of Mexican heritage and we have a growing contingent of Germans with one American parent. So the big breakthrough in fandom that the media speculates about won’t happen this year either. But bars all over the country will be packed with fans cheering for just about every team in the World Cup and it will be a topic of conversation in workplaces, schools and a parties. That’s not so bad. This started with the 2002 World Cup. In the round of 16, the U.S. is leading Mexico 2-0, it is deep into injury time, in other words it’s over, and Marquez basically tries to break Cobi Jones’ leg with a brutal tackle. He is, of course, red-carded but that is pretty meaningless as there is no time left. There is really no explanation for this other than that the guy is a dirtbag. Some years later Marquez shows up playing for the Red Bulls and during his two years with the team he proceeded to get a red card in what seemed like every important game in which he participated. Fortunately he didn’t play that often because he usually earned his $4.6 million a year salary by being injured or suspended. But if the playoffs were on the line and he started in the lineup, the Red Bulls were virtually guaranteed of having to finish with 10 men. So now, inexplicably, Marquez is back on the Mexican national team. His stupidity at the most inopportune moment is something to look for in future matches. Maybe he is captain of Mexico because he represents the typical level of sportsmanship of this squad. This is a team that if they lose to the U.S. will refuse to shake hands. Where else in professional sports do you see that? So while I always wanted to root for Mexico as the standard-bearer for our region and also because I have seen them many times in the U.S. and their supporters are a joy to be around, the whole bad-tempered thing gets in the way. Maybe Croatia will finish off a 10-man Mexican team as their captain once again leaves the field in disgrace. One thing is certain, if the Croats lose, they will still shake hands. This entry was posted in Sports, Uncategorized and tagged Mexico, Rafa Marquez, soccer, Spain, sports, World Cup. Bookmark the permalink.